From Wednesday on, around 1100 leading X-ray researchers and nanoscientists from 30 nations will meet in Hamburg. The participants belong to the large circle of users of the DESY X-ray light sources PETRA III and FLASH as well as the European XFEL X-ray laser opened in 2017, and they will discuss new results, investigation possibilities, and the further development of the research light sources. In recent years, the Hamburg metropolitan region has developed into a worldwide unique centre for research into the nanocosmos: With a unique combination of large-scale research facilities, new materials can be explored at the atomic level, the structure and dynamics of medically relevant biomolecules can be understood, chemical reactions can be filmed, and the interior of stars and planets can be simulated in the laboratory. “It is the largest gathering of its kind in the world. 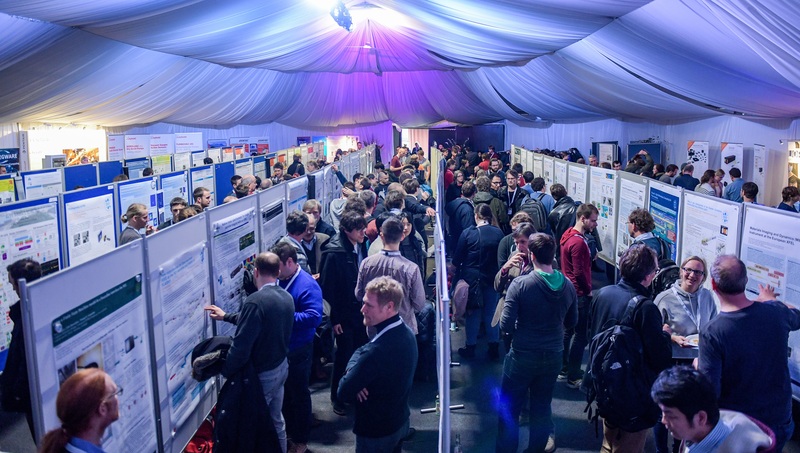 The high and still increasing number of participants from Germany and from abroad shows the extraordinary importance of photon sources in Hamburg for a broad interdisciplinary use. I am particularly pleased that many high-tech companies are taking part in these meetings,” says Prof. Helmut Dosch, Chairman of the DESY Board of Directors. “The users’ meetings are unique opportunities to celebrate the achievements, challenges, and highlights that have taken place at European XFEL over the last year, and to start new collaborations with our users and industrial partners,” adds European XFEL Managing Director Prof. Robert Feidenhans&apos;l.
The scientific light sources at DESY and European XFEL are used every year by more than 2500 guest researchers from all over the world, and once every year, the users gather in Hamburg. In the past few years, these users&apos; meetings have been registering record numbers of participants. “The nanocosmos holds the keys to solving numerous current challenges, such as climate-friendly energy supply, tailor-made medicines, or new types of data storage,” emphasizes DESY Research Director for Photon Science, Prof. Edgar Weckert. “Our user community is continually growing and diversifying, and we are pleased so many will join us to discuss the world-class research going on here,” says Prof. Serguei Molodtsov, Scientific Director of European XFEL. The focus this year will include the first year of operation of the European XFEL and the plans to upgrade DESY&apos;s X-ray ring PETRA III to the ultimate 3D X-ray microscope, PETRA IV. Since the start of the European XFEL’s user operation in September 2017, more than 500 researchers have performed experiments at the facility’s first two experiment stations. Two more experiment stations became available for researchers at the end of 2018, and the final two stations of the facility’s initial configuration, comprising six stations, are scheduled to start operation in the first half of 2019. With them, operational capacity at the new facility will have tripled in less than two years’ time, with the range of possible experiments likewise growing. The first published results show the potential of the unique, ultrafast pulse rate of the European XFEL for investigations of atomic structure and biomolecular dynamics. DESY&apos;s next major project, PETRA IV “Next Generation”, will be a high-resolution X-ray microscope, with which the inner structure of samples in their natural environment can be observed on all size scales, from millimeters to tenths of a nanometer. It will provide images of processes in the nanocosmos with several hundredfold finer details than is possible today, thus reaching the limits of what is physically possible. “The instruments at European XFEL and DESY complement each other optimally, so that together we can already offer our users a vast range of possibilities for exploring the atomic structure and dynamics of different materials at a range of time scales. PETRA IV will complete the portfolio and add even more opportunities – all together, the research done at our facilities can change the way we see the world around us,” says Feidenhans&apos;l.
In more than 30 plenary lectures and 18 satellite workshops, as well as on more than 350 scientific posters, the participants of this year&apos;s meetings will exchange information on new developments for three days from Wednesday to Friday. At an accompanying industrial fair, around 80 companies will be presenting their highly specialised products for cutting-edge research.